Took another shot at this tonight, with arguably better results. 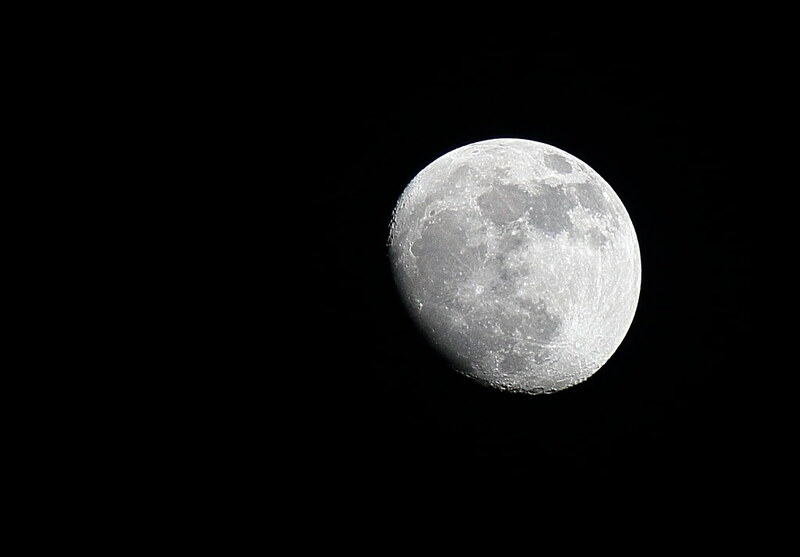 Shot with T2i and EF-S 55-250mm lens. you shot this with a 55-250mm? no way... crazy sharp man! Ace_Club: Did you sharpen in PP or is this an unprocessed image? Also, how much cropping? 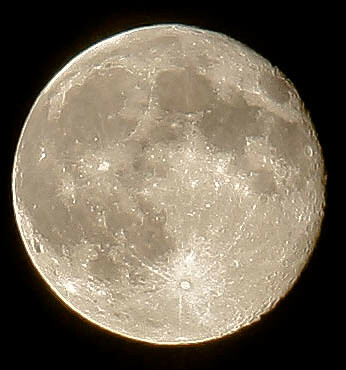 I took some fair shots of the moon with a 450d and sigma lens, handheld but ive failed so far with the 600d and canon 55-200mm lens, is it a full moon tonight? Yes, there was some pp done on this image. As far as cropping, I don't know exactly how much. Definitely more than 50%. It's a fantastic image either way. I'd be very pleased if I could shoot one as good. Wow, what lens and settings did you use? 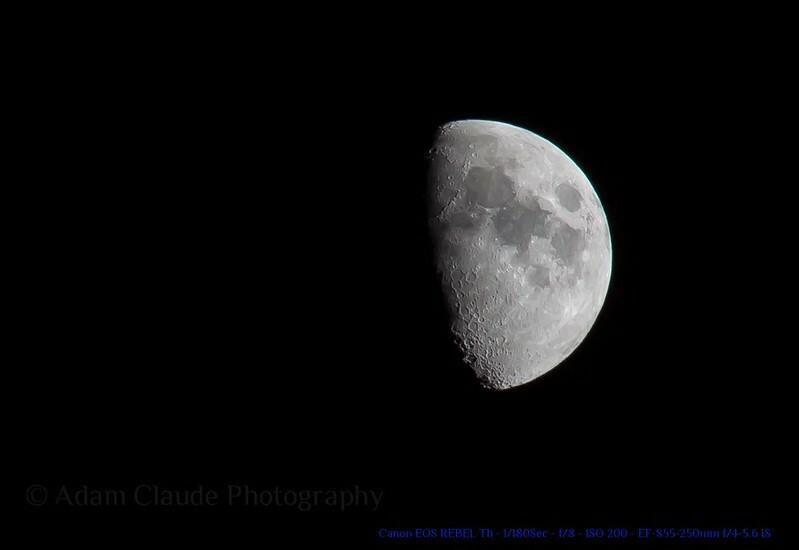 I used my ES 127 refractor. It has a focal length of 952 mm. I used my modded 60D (IR filter removed) hence the reddish tinge that I should have removed in post processing or used custom white balance. I used BYEOS for focusing, exposure, and capture. 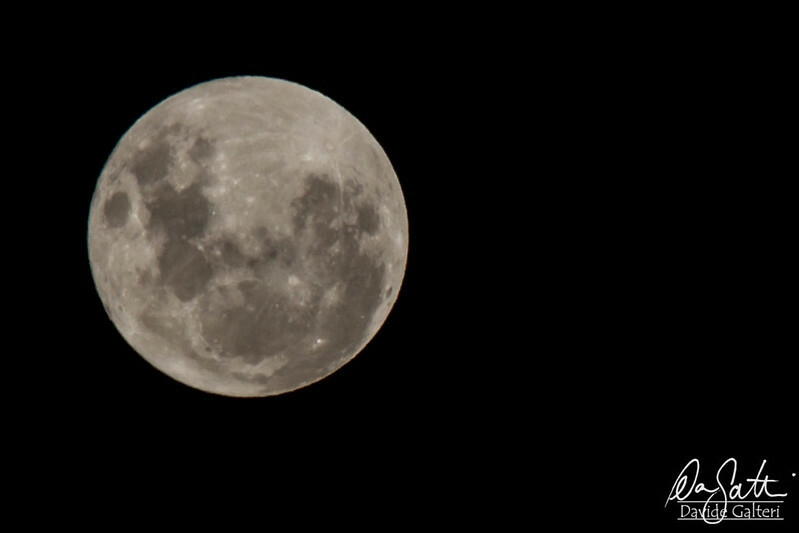 Your image of the moon with the lens is much better than I ever achieved with my 70-200 II, EF 300/f4, or 400 5.6, but I never used BYEOS or live view to get the best exposure. One learns over time. Would appreciate any feedback on post processing. 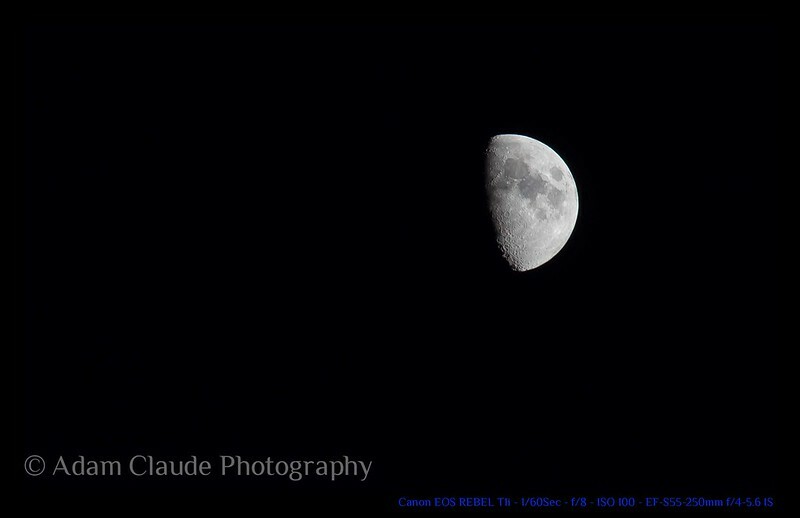 Quick question (apologies if its already been answered earlier in the thread) - assuming I use the same lens, would it make more sense to shoot the moon with a FF (better IQ but shorter reach) or crop (1.6x but poorer IQ)? So, I went out and shot a few. First time ever getting it "right"